What is Seam in Garments? A seam is the joining of two or two or more fabric pieces y means of one or more rows of stitches. Seam failure or fabric failure may occur as a result of longitudinal or transverse loading on such a sewn fabric. The transverse seam strength is a prime requirement in the joining of woven fabric by means of sewn seam. In general, it is better to have seam breaks rather than fabric breaks. Because seam breaks can be repaired but fabric breaks can’t. So, the optimum seam strength should be equal to or slightly less than the fabric strength. In this article, i have explained seam properties, seam slippage and seam strength of apparel. Most of the apparel is manufactured by using some sort of joining of panels of fabrics. The techniques of joining of fabrics may be welding or by the use of adhesives or a sewn seam. Joining by sewn seam is the most common and widely used technique both for domestic and industrial apparel manufacturing purpose. What is Seam Slippage in Apparel? When a sewn seam is under some transverse loading, displacement of the stitches relative to the fabric threads can also occur, which is called seam slippage, resulting in some opening of the fabric. This phenomenon of some woven fabrics decreases the range of their possible end uses and causes some problems in the clothing manufacturing industries. Type of sewing machine etc. 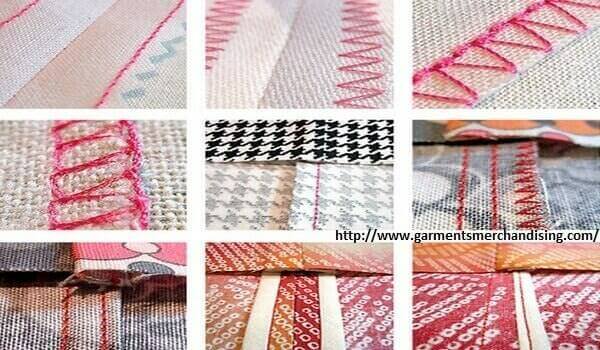 There are mainly two causes for seaming textile or non-textiles. The first reason is to join two or more piece to produce a large composite piece of two or three-dimensional configuration and the second one is to decorate the article. In the second case, the seam strength is not as important as the first case, but other factors such as pucker, stretch, and durability are important. However, the most important properties of a seam are strength, durability, elasticity, security and good appearance. The intended end use of the article. Category: Garments Production Sewing Tags: Characteristics of Seam in Apparel, Factors of seam properties, Major points of seam properties, What is a seam and types of seams?, What is seam line in sewing?